Addison, J and Kidd, N (2017) No working title. In: Tate Modern Workshops, 27 January 2017, Tate Modern, London, UK. Arbugaeva, E and Neudecker, M (2017) Traces of the Future: Archaeology of Modern Science in Africa. Nunnery Gallery, London, UK, 28 January - 27 March 2017. Clark, D (2017) The neo-monument : monuments of dissent and their emergence in western culture in the late 20th and early 21st century. PhD thesis, Bath Spa University. Clark, S (2017) Raucous. In: We Make Stuff: Digital Materialities and Digital Storytelling Workshop, 28 June 2017, Burdall's Yard, Bath, UK. 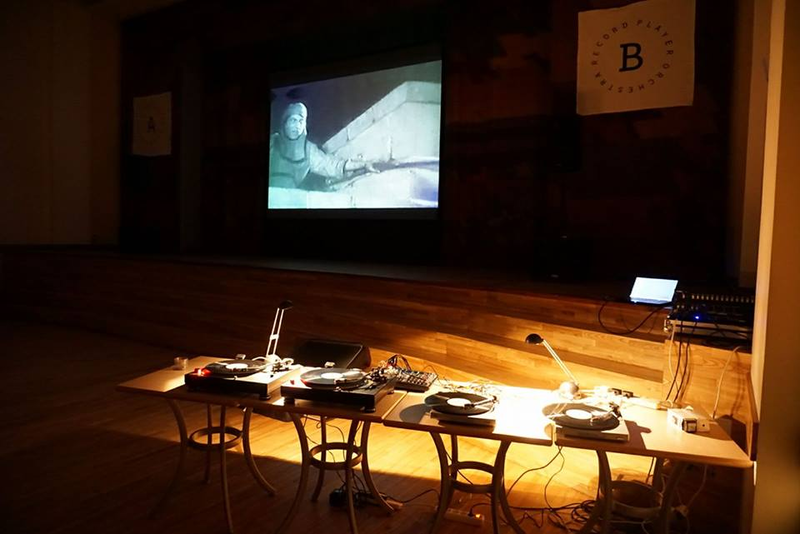 Clarke, R (2017) Performance of the record player orchestra. In: Roja Art Lab, Roja Cultural Centre, Roja, Latvia, 22 July 2017. Dalwood, D (2017) Age of Terror: Art Since 9/11 [group exhibition]. Imperial War Museum, London, UK, 26 October 2017 - 28 May 2018. Dalwood, D (2017) The Critic as Artist [group exhibition]. Reading Museum, Reading, UK, 7 October 2017 - 28 January 2018. Dalwood, D (2017) Ein Brief: New Paintings by Dexter Dalwood. Galerie Hubert Winter, Vienna, Austria, 15 September – 14 October 2017. Dalwood, D (2017) In the pines - slight return [group exhibition]. In: David Risley Gallery, Bispevej 29 2400, Copenhagen, Denmark, 24 May - 30 June 2017. Dalwood, D (2017) Look Me in the Eye Sister [group exhibition]. Galeria Leyendecker, Tenerife, Spain, 2 August - 8 September 2017. Dalwood, D (2017) Melancholia - a Sebald Variation [group exhibition]. KCL, London, UK, 21 September - 10 December 2017. Dalwood, D (2017) Michael Andrews, London [exhibition review]. The Burlington Magazine, 1369 (159). pp. 330-331. Dalwood, D (2017) Oscar Wilde (2003). In: Bacon to Doig: Modern Masterpieces from a Private Collection, National Museum, Cardiff, Wales, 18 February 2017 – 31 January 2018. 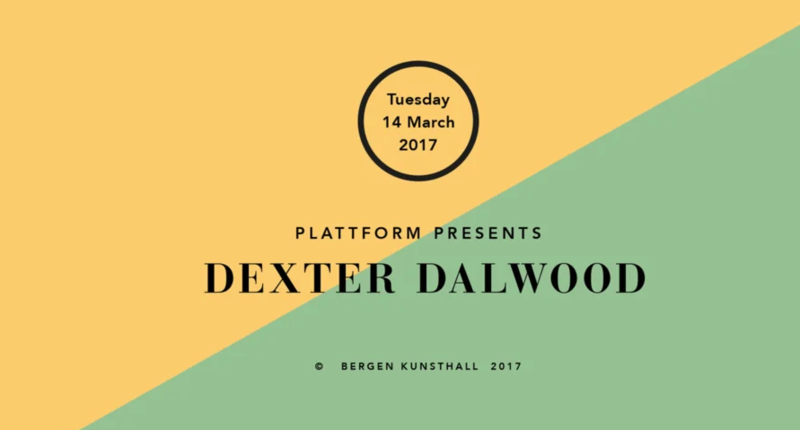 Dalwood, D (2017) Plattform presents: Dexter Dalwood. In: Artist Talk Series, 14 March 2017, Bergen Kunsthall, University of Bergen, Norway. Dalwood, D (2017) Second set (2016). In: New Pleasure, Simon Lee Gallery, New York, NY, USA, 1 November - 23 December 2017. Dalwood, D (2017) What is the history in contemporary history painting? In: Professorial Lecture Series 2016-17, 29 March 2017, Bath Spa University, Bath, UK. Dodd, P, McCarthy, T, Scott, S, Glaser, D and Dalwood, D (2017) Free thinking - Rauschenberg - performance, identity and the writings of Erving Goffman. Dunseath, J (2017) Anthony Caro and his studio assistants. In: Norfolk Contemporary Art Society Events, 12 January 2017, The Forum, Norwich, UK. Dunseath, J (2017) Pasta real. In: Work Work, Tintype Gallery, London, UK, 2 November - 2 December 2017. Dunseath, J (2017) SWAP [group exhibition]. In: SWAP Ad hoc, Castor Projects, London, UK, 31 March - 29 September 2017. Dunseath, J (2017) What is a studio and how do we use one? In: What Is A Studio And How Do We Use One? A One Day Symposium In Conjunction With Inventory Of Behaviours, 6 February 2017, blip blip blip, East Street Arts Patrick Studios, Leeds, UK. Dunseath, J and Dawson, I (2017) Generation Z depth:‘exploring sculpture and technology’. In: New Art Centre Workshops, 17 January 2017, Roche Court, Salisbury, UK. Dutton, S (2017) Only Numbers Count. Dutton, S and Morrad, A (2017) Performance arcade. In: Performing, Writing, Matiu Island, Wellington, New Zealand, 10 - 19 March 2017. Harman, W.H (2017) Bath Society of Artists: 112th Exhibition [group exhibition]. Victoria Art Gallery, Bath, UK, 20 May - 15 July 2017. Harman, W.H (2017) The Button Project [group exhibition]. Tenby Museum and Art Gallery, Tenby, Wales, 12 April - 14 August 2017. Harman, W.H (2017) Cultural homelessness. 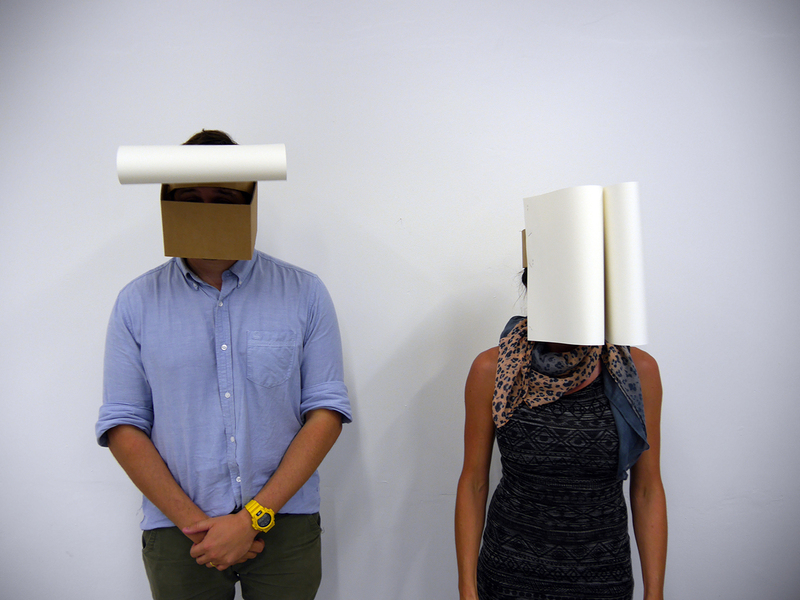 In: Cause and Complexity, The Island Gallery Space, Bristol, UK, 20 - 24 February 2017. Harman, W.H (2017) Happy to have Earth 地球. In: Pay & Display Prize 2017, Centrespace, Bristol, UK, 4 – 15 February 2017. Harman, W.H (2017) In-Between. Workers Gallery, Porth, Wales, 25 May - 10 June 2017. Harman, W.H (2017) Research impact in relation to my ceramic art practice. In: Bath Spa University Early Stage Researcher Conference: Impact, 8 June 2017, Bath Spa University, Corsham, UK. Harper, A (2017) How can my textile art and my textile craft processes contribute to a dialogue through an investigation of materials used in a disposable culture? PhD thesis, Bath Spa University. Harris, H (2017) Workshop. In: Schools Without Walls, 12 June 2017, St Andrew’s Primary School, Bath, UK. Harrison, K (2017) Interactive & performative ceramics in the public realm. In: Ceramic Values: Can Ceramics make a difference? Ceramics and its Dimensions Congress, 5 -6 October 2017, Potteries Museum and Art Gallery, Stoke-on-Trent, UK. Harrison, K (2017) Keith Harrison. In: RCA Arts & Humanities Talks, 15 November 2017, Royal College of Art, London, UK. Harrison, K (2017) Knowledge is power: 6 towns. In: British Ceramics Biennial, Stoke-on-Trent Central Library, Stoke-on-Trent, UK, September - November 2017. Head, A (2017) Elastic space. In: We Make Stuff: Digital Materialities and Digital Storytelling Workshop, 28 June 2017, Burdall's Yard, Bath, UK. Head, A (2017) FLOW. Bath Spa University, Bath, UK, December 2017 - January 2018. 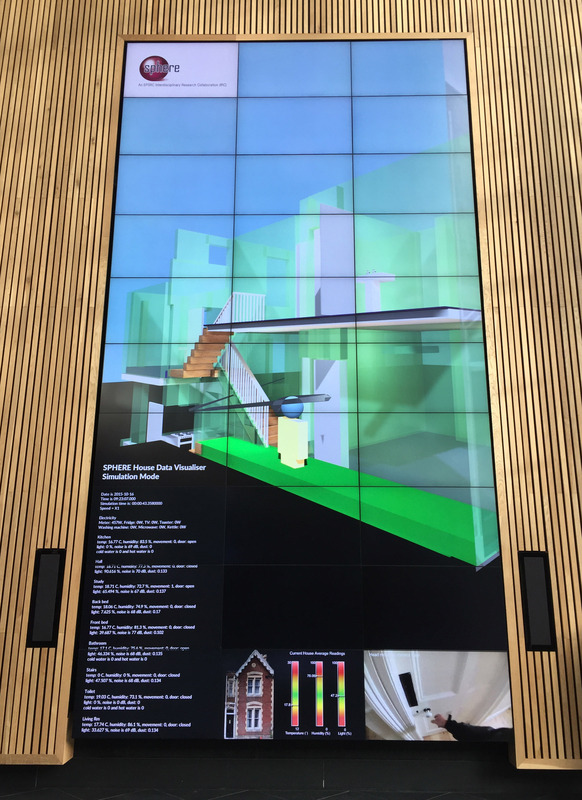 Head, A (2017) Sphere 3D House Data Visualisation. Head, A (2017) iMigration 2. Bath Abbey, Bath, UK, 8 February 2017 - 8 February 2018. Hong, Y (2017) 5100: Pentagon. In: Block Universe, Royal Academy of Arts, London, UK, 4 June 2017. Hong, Y (2017) Echoes. In: Venice Agendas 2017: The Contract, Campo Santa Margherita, Venice, Italy (and touring), 10 -12 May 2017. Hong, Y (2017) The Moon's Trick. Korean Cultural Centre, London, UK, 21 November - 29 December 2017. Hong, Y (2017) Rethinking craft: between studio craft and contemporary art [group exhibition]. Seoul Museum of Art, Seoul, South Korea, 6 June - 24 September 2017. Jackson, R (2017) Demanding time: artists' still motion films exploring locations and environments. PhD thesis, Bath Spa University. Jones-O'Neill, J (2017) 'Advance Australia Fair: art from 1880s boom to the close of the Great War.' In: Freund, P, ed. Art Gallery of Ballarat: stories from the collection. Art Gallery of Ballarat, Ballarat, pp. 151-177. ISBN 9780994162854 Please click the title to check availability. Kidd, N (2017) Three screen prints. In: Work Work, Tintype Gallery, London, UK, 2 November - 2 December 2017. Lalic, M (2017) After Image. Galerie Renate Bender, Munich, Germany, 10 March - 13 May 2017. Lalic, M (2017) English green landscape painting (2007) & Dutch brown landscape painting (2016) & French ochre landscape painting (2016) & French red vermilion landscape painting (2016). In: The Order of Things, The Wilson, Cheltenham Art Gallery & Museum, Cheltenham, UK, 28 January - 5 March 2017. Luzar, R (2017) 'Untitled' & 'A-lighting Steps, Balls and Chords'. In: Gesture, Trace, Performance, Herbert Read Gallery, London, UK, 18 November - 15 December 2017. McLaren, G and Rose, K (2017) ‘The ornament of Bristol and the wonder of the age’: Brunel’s Clifton Suspension Bridge and a regional design heritage. In: BRIDGE: The Heritage of Connecting Places and Cultures, 6 -10 July 2017, Coalbrookdale Museum of Iron, Coalbrookdale, UK. Medjesi-Jones, A (2017) Dispenser (2016) & Please stand up (2016). In: Painting & Structure, The Kennington Residency, London, UK, 9 - 24 February 2017. Medjesi-Jones, A (2017) ExRoma IV [group exhibition]. APT Gallery, London, UK, 23 February - 5 March 2017. Medjesi-Jones, A (2017) Factory Floor. ACME Studios, London, UK, 30 June - 15 July 2017. Medjesi-Jones, A (2017) Notes on Painting [group exhibition]. The Koppel Project Hive, London, UK, 23 November 2017 - 12 January 2018. Medjesi-Jones, A (2017) PinkPaintingMachine. 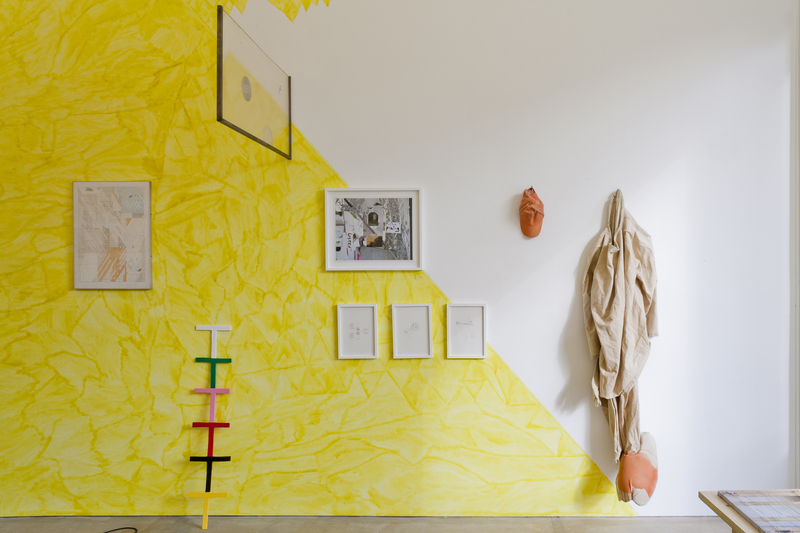 In: Make_Shift, Collyer Bristow Gallery, London, UK, 13 October 2017 - 13 February 2018. Neudecker, M (2017) Gravity Prevents the Atmosphere from Drifting into Outer Space (2011). In: I Lost My Heart to a Starship Trooper, Griffin Gallery, London, UK, 12 January – 24 February 2017. Neudecker, M (2017) Hull 'another city of culture’. In: Professorial Lecture Series 2016-17, 3 May 2017, Bath Spa University, Bath, UK. Nicolson, S (2017) From the Corner of My Eye. Black Swan Arts, Frome, UK, 11 February - 11 March 2017. Parry, B (2017) 'The Climate Games: space, politics and resistance at the COP21 Paris.' In: Luger, J and Ren, J, eds. Art and the city: worlding the discussion through a critical artscape. Routledge, Abingdon, pp. 147-167. ISBN 9781138346437 Please click the title to check availability. Pennie, M and Cassidy, F (2017) Drawings of Different Sizes. Drawing Projects UK, Trowbridge, UK, 13 May - 10 June 2017. Sanders, H (2017) Imagined Space Fake Views! Sion Hill Gallery, Bath, UK, 14 - 21 March 2017. Slater, C and Harrison, K (2017) requiem:c40. Snell, R (2017) Exhale (1998) & Exiles II (2000). In: Twelve at Number Twenty, No 20, London, UK, 1 February – 12 March 2017. Sowden, T (2017) Panacea. In: Redesigning the Medieval Book, University of Oxford, Oxford, UK, 1 December 2017 - 11 March 2018. Sowden, T, Mason, D and Partington, M (2017) Interrogating the unspoken. In: Research Through Design, 21 - 24 March 2017, National Museum of Scotland, Edinburgh, UK. Swancutt, K.D (2017) The altered surface: a technical investigation into hand stitch and fold interventions on fabric. PhD thesis, Bath Spa University. Taylor, A (2017) DRAWN. Customs House Gallery, South Shields, UK, 18 August – 12 November 2017. Taylor, A (2017) Elisa Alaluusua - Sketchbooks: An Obsession [curator]. Drawing Projects UK, Trowbridge, UK, 3 February - 4 March 2017. Turk, G (2017) Give In. Ben Brown Fine Arts, London, UK, 9 February - 7 April 2017. Turk, G (2017) History of Art. Mimmo Scognamiglio Artecontemporanea, Milan, Italy, 23 November 2017 - 10 February 2018. Turk, G (2017) Large transit disaster (blue, copper & ochre) (2013). In: I Lost My Heart to a Starship Trooper, Griffin Gallery, London, UK, 12 January – 24 February 2017. Turk, G (2017) Transubstantiation. Skip Gallery, London, UK, 16 - 23 November 2017. Turner, M.J (2017) The view: gendered views of observation through the creative practice and installation of photographic and moving image. PhD thesis, Bath Spa University. Turner, P, Levy, C, White, R, Tweed, C and Wilkins, S (2017) We make stuff: film and social context. In: We Make Stuff, 27 March 2017, Holbourne Museum, Bath, UK. Whiting, M (2017) The Museum Box Project: Something of Place [group exhibition]. Trowbridge Town Hall (Arts Centre), Trowbridge, UK, 9 September - 4 November 2017. Whiting, M (2017) 'Quotidian space in the sites of myth.' In: The sites of myth - Aqueel Solangi. Koel Gallery, Karachi, pp. 8-13. Wilson, C (2017) Applying studio ceramic practice to constructions of meaning in relation to the banal mug, utilizing the Shepton Collection as a creative tool. PhD thesis, Bath Spa University. Wilson, C.J.R (2017) A Game of JUG. Wilson, C.J.R (2017) Krug | Cruche | Jarra | Jug (2017). In: Pour Me, Devon Guild of Craftsmen, Bovey Tracey, UK, 18 March - 7 May 2017. Wilson, C.J.R (2017) Making Beyond Words [group exhibition]. 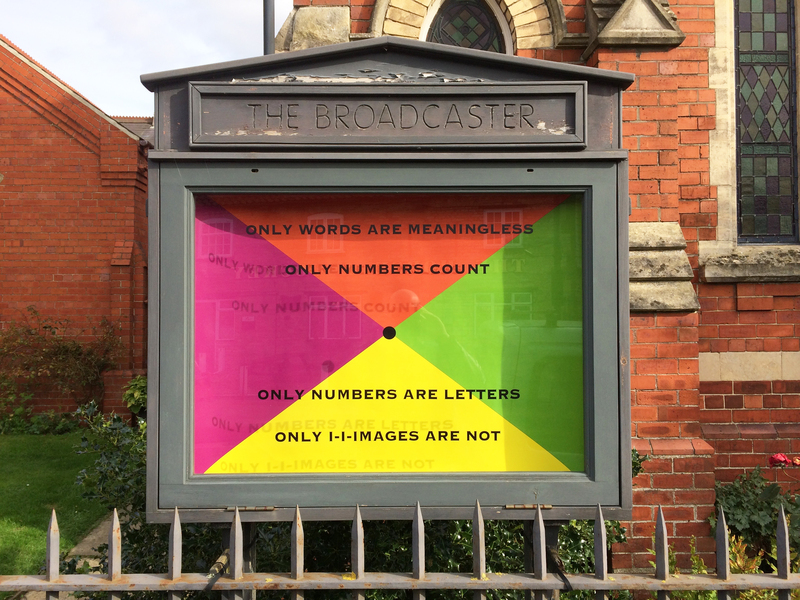 In: Making Beyond Words – Intersections between Text, Image, Display: Celebrating 50 Years of Concrete Poetry, Bath Spa University, Corsham, UK, 16 - 17 June 2017. Wood, J and Harrison, P (2017) 10 × 10 (2011) & Tall buildings (2011). In: Jeu et Diversion: Festival d'Art Contemporain - 9th Edition, Art Souterrain, Montreal, Canada, 4 - 26 March 2017. Wood, J and Harrison, P (2017) As Logical as Possible. Kunstverein, Arnsberg, Germany, 17 – 25 February 2017. Wood, J and Harrison, P (2017) Board (1993). In: The Order of Things, The Wilson, Cheltenham Art Gallery & Museum, Cheltenham, UK, 28 January - 5 March 2017. Wood, J and Harrison, P (2017) Board (1993) + others. In: Body Media II, Power Station of Art, Shanghai, China, 29 April - 30 July 2017. Wood, J and Harrison, P (2017) Boat (1991) & Board (1993) & 3 Legged (1997) & Device (1996). In: Do Not Disturb, Palais de Tokyo, Paris, France, 21 - 23 April 2017. Wood, J and Harrison, P (2017) Device (1996) & Six boxes (1997). In: [Re]construct: An Arts Council Collection National Partners Exhibition, Yorkshire Sculpture Park, Wakefield, UK, 1 April - 25 June 2017. Wood, J and Harrison, P (2017) An Eyeful of Wry: Government Art Collection [group exhibition]. Brynmor Jones Library Gallery at the University of Hull, Hull, UK, 20 October - 26 November 2017. Wood, J and Harrison, P (2017) Other Plans. Galeria Vera Cortês, Lisbon, Portugal, 27 January – 11 March 2017. 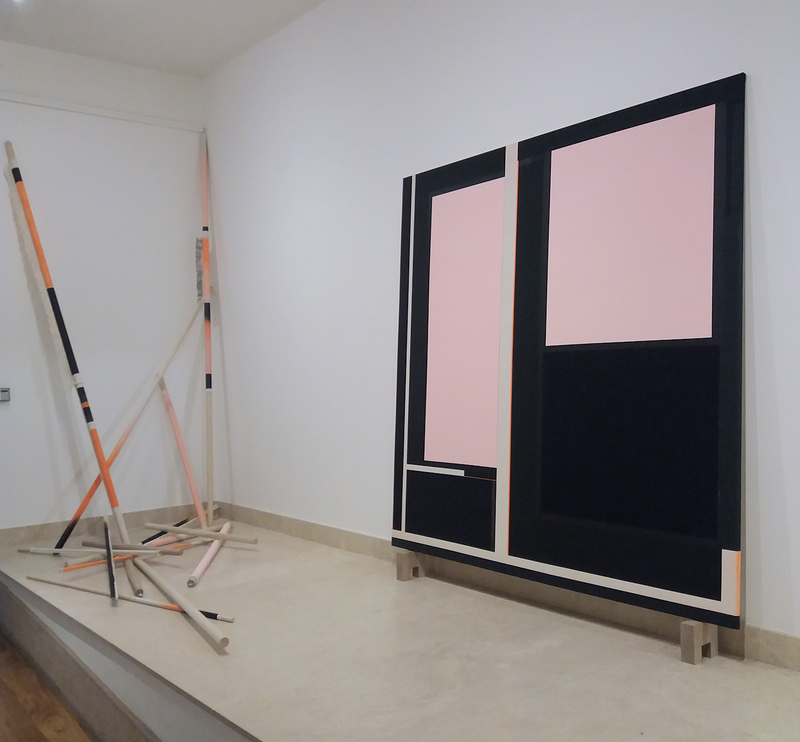 Wood, J and Harrison, P (2017) Semi automatic painting machine (2014). In: Looking at One Thing and Thinking of Something Else - Part Four: Disrupt / Disorder / Display, Carroll/Fletcher Gallery, London, UK, 17 March - 29 April 2017. Wood, J and Harrison, P (2017) Six boxes (1997). In: Why Can't Minimal, The Rooms, St. John's, NL, Canada, 14 January - 9 April 2017. Wood, J and Harrison, P (2017) Unrealistic mountaineers (2012). In: First Star, Last Snowflake, Villa du Parc, Annemasse, France, 1 April - 10 June 2017. Wood, J and Harrison, P (2017) Westkunst - Ostkunst: a Selection from the Collection [group exhibition]. Ludwig Museum, Budapest, Hungary, 1 August 2017 - 31 December 2018. This list was generated from ResearchSPAce on Tue Apr 23 20:55:16 2019 UTC.